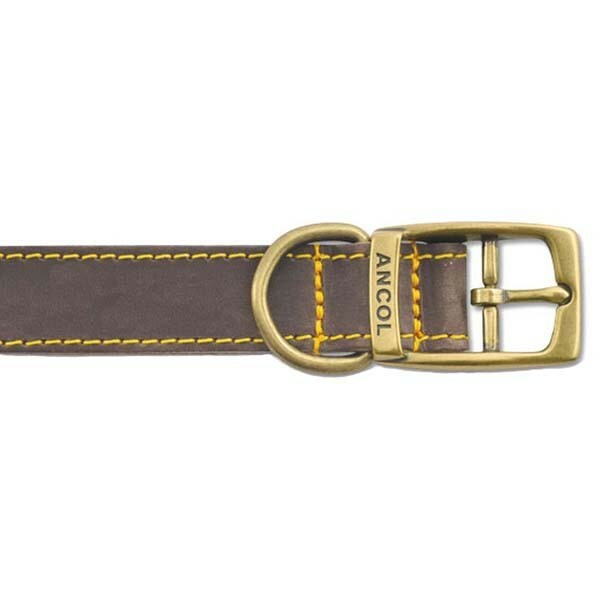 Ancol Timberwolf Leather Dog Collars are hard wearing, strong and water repellant, made from the finest bridle leather, that has a consistent grain and thickness, that are specially treated to make the collars not only soft and supple, but exceptional strong too, consequently timberwolf dog collars are a firm favourite with working dog owners and good value for money! 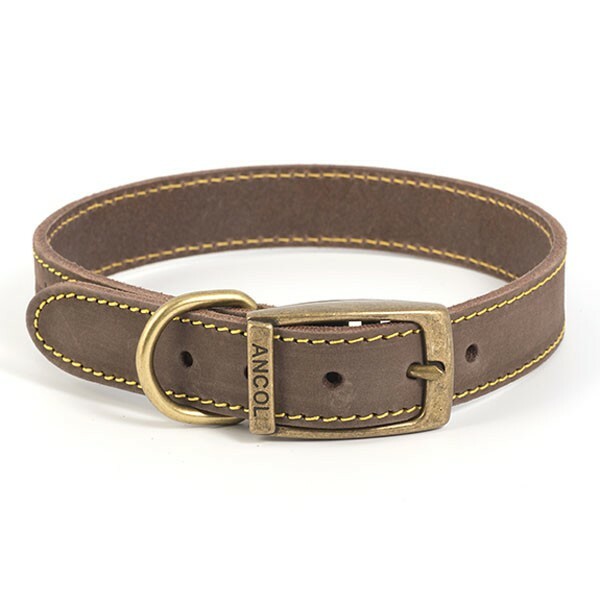 Each timberwolf leather dog collar is tanned with 100% natural fats, to help the collar remain supple and improve long term durability, when cold these natural fats will sometimes migrate to the surface of the leather collar, leaving a white wax like residue, that can be easily removed with a soft cloth. The natural fat oils used in the tanning process, help keep the timberwolf collar from becoming dry and brittle, provide a water repellent barrier that should help to prevent damage occurring to the collar for example from cracking or splitting caused by folding the collar or the outside elements, especially if you like to roam the countryside, which could result in a inferior dog collar needing to be replaced earlier than expected! The edges of timberwolf leather dog collars are also sealed to prevent damage, improve water repellence and stitched with strong industrial nylon bonded thread for extra strength, to ensure the collars not only look good , but are tough too. 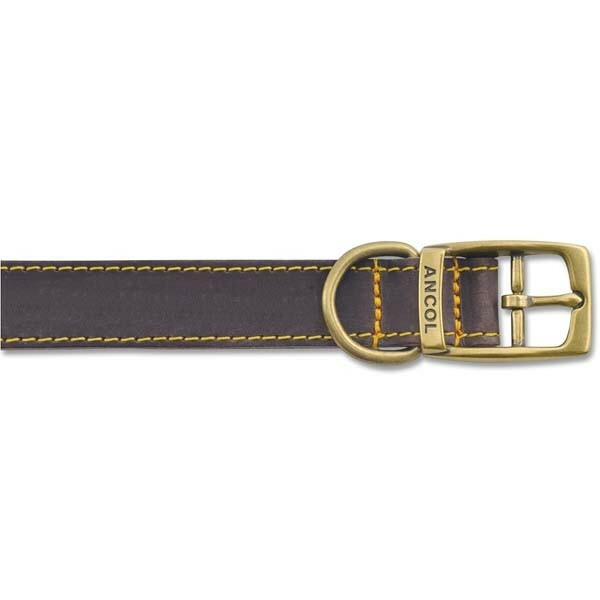 All timberwolf leather leads and collars have matching heavy duty die cast antique gold fixings, consequently you can mix and match timberwolf products!